ATLANTA, June 30, 2015 – Randstad Sourceright, a global talent solutions leader, today announced the release of Talentradar, an advanced analytics and recruiting intelligence platform that helps employers leverage data from multiple systems to support informed talent decisions. Although organizations large and small create vast amounts of data about their talent each day, many are unfamiliar with how to leverage this information to guide their workforce decisions. To create an effective and responsive talent strategy that meets the needs of today’s rapidly changing workforce, companies must be able to leverage actionable insights in real time and drill down into specific details. This capability will enable HR leaders to continually optimize the workforce and achieve full alignment between talent needs and organizational goals. 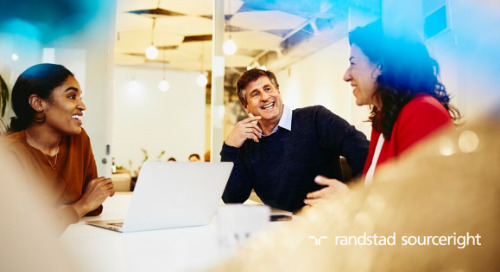 Randstad Sourceright developed Talentradar to fill the market void for a source-neutral analytics system that allows complete visibility into all recruiting, candidate relationship management, application tracking and HRIS systems. A first-to-market analytics platform of its kind, it is an integral building block of Randstad Sourceright’s Recruitment Process Outsourcing (RPO) solution. The platform applies data from any number of sources to predict outcomes and develop related metrics, using proprietary custom algorithms to make accurate and relevant predictions to guide day-to-day recruiting operations, and in the long-term, contribute to talent strategy choices. With in-depth and predictive insight on an organization’s talent acquisition landscape, Talentradar provides a complete picture of recruiting performance. Talentradar has been built to work on any device and provides an easily configurable dashboard of important talent metrics, such as time to fill, open requisitions, the number of open requisitions compared to another user-defined period and filled requisitions versus open requisition metrics. These and other metrics enable organizations to make decisions based on real-time data, anywhere and at any time. In addition, Talentradar provides an alert system delivered via email and text messages.